China is not yet a popular winter destination for foreign travelers looking for specific winter activities. China has some fun and well-equipped ski slopes, but nothing to write home about. 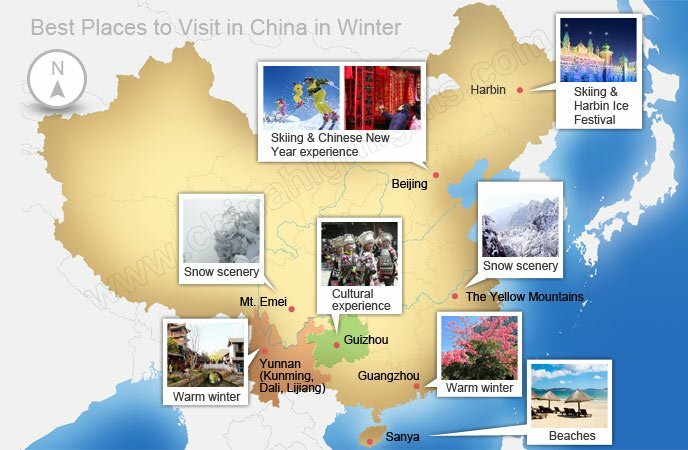 The main benefits of winter travel in China are reduced costs and less crowding. China&apos;s low season is when tourism/travel in China is at an annual low. Prices are reduced to encourage off-season travel spending. It begins in November and ends in March (excluding Chinese New Year, when it seems that the whole nation is traveling). 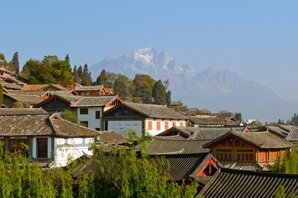 Visiting China during the low season may be just the thing for you. Far less tourist crowding, cheaper hotels and flights, winter scenery and activities, and a cool (cold), dry (drier) climate may interest you. Normally, there are fewer travelers as most Chinese don&apos;t travel during this time for various reasons. You will have more space and time to enjoy your trip to the full. Most of the most popular destinations in China (the Great Wall, Beijing, Xi’an, Shanghai, Guilin, Hong Kong, Hangzhou, Chengdu...) are still very accessible in the low season, but without the seething crowds of Chinese tour groups! Fly in to China for less in winter. 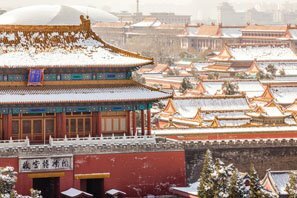 Recommended itinerary: Our ever-popular 8-Day Beijing–Xi&apos;an–Shanghai Private Tour format is just as doable in winter. 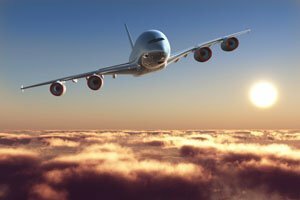 Fewer travelers means most hotels and airlines offer great deals to attract customers; some airlines even offer 80% off flights. Attractions and resorts often sell low-season entrance tickets. If you believe in the saying, “there is no such thing as bad weather, only bad clothing”, then China is yours for a bargain in the low season. The colder weather is a trade-off against lower prices for hotels, transport, and even gate tickets. Winter Weather in China — It May Not Be What You Expect! China is a vast country, and the weather in winter varies greatly from north to south, east to west. Below we summarize China&apos;s winter weather by region. If you like it drier and not hot, winter might be preferable for you, as it is the driest time of the year all over China, particularly in the north, where a few snow flurries is all you’ll get. Winters in northeastern China are long, frozen, and snowy. The province of Heilongjiang borders Russia and its capital, Harbin, is called &apos;Ice City&apos;. January temperatures average -12°C (10°F) during the day, and plummet at night. Beijing experiences very cold, but usually dry, long winters. 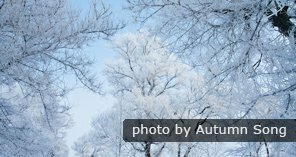 Winter begins in early November and extends into March. Average temperatures are below freezing, but frequent sunny days are perfect for sightseeing. The capital typifies northern China winter weather (including e.g. Xi&apos;an). Shanghai experiences milder weather than Beijing. The winter season is from December to February. Winters are moist, but there is little snow and days are overcast. Temperatures usually stay above freezing, but will feel colder due to humidity. This is typical of central/southern China winter weather. Tourists can enjoy popular southern attractions in the wintertime, as long as they pack plenty of warm clothing, and reserve heated hotel rooms. Few hotels south of the Yangtze turn on heating in the winter! Dali in Yunnan province has very comfortable winter weather. China’s far south falls within the tropics and these places don’t really experience a winter. "Winter" temperatures are quite mild, even warm. In fact going in the “winter” would be better time to visit these places for you if you don’t relish enduring the sweltering summer heat. Harbin’s Ice Festival is world&apos;s biggest ice and snow sculpture event. It&apos;s a must for those who love walking in a winter wonderland. Chinese New Year is the most important traditional festival in China. There are many cultural activities such as temple fairs, dragon dances, and lion dances in in some cities’ streets. We recommend being there for China&apos;s biggest festival, but bear in mind transport is packed for at least two weeks either side of Chinese New Year. Hotel prices also go up during the holiday period. If you come from a region where it rarely snows, China’s beautiful snow scenery would be particularly worth seeing. 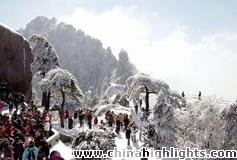 If you want to take in some characteristically Chinese mountain scenery in the snow, then we recommend safer, more-developed locations like the Yellow Mountains and Mount Emei. The rime scenery of Jilin is one of China’s four natural wonders. Chinese people like to eat hotpot in winter, as eating hotpot can warm the body and improve circulation. Also eating hotpot is a great way to socialize. People gather around the pot, chatting, eating, drinking, and having fun. 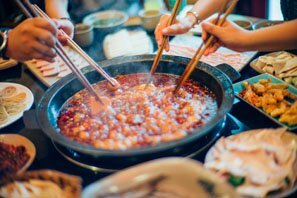 Hotpot meals are especially favored in winter when outside activities like leisurely walks and sitting around in the parks are not so pleasant because of the cold weather. Congee is probably the most common mainstay of the Chinese breakfast (especially in south China, where wheat foods are less common). It is a mild-flavored rice porridge that has been cooked for a long time with plenty of water to soften the rice. It is favored in winter as it’s convenient and hot. See more on The Best Cold Weather Foods in Beijing. Winter travelers to China are increasingly opting for China&apos;s ski slopes as an alternative diversion. Northeast China ski sesorts and the ski resorts around Beijing (which are being improved markedly for the 2022 Winter Olympics) are the most popular among winter travelers. However, there are a few in West China such as the Xiling Ski Resort in Chengdu. Below is a list of China&apos;s prime winter destinations, with descriptions that will hopefully inspire you to choose China for your winter vacation this year. Lakes, canals, and fountains are frequently frozen solid. Ice skating is very popular at the lakes in Beijing&apos;s parks. There are even bicycles designed to be ridden on the ice. The nearby sections of the Great Wall remain open to visitors during the wintertime. 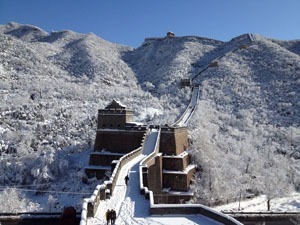 Tourists enjoy climbing the Great Wall and viewing the winter landscape in peace without the crowds. There are various cultural activities held in the temples and parks of Beijing during the Chinese New Year holiday usually from late January to early February. This is best time of the year to experience Chinese culture. Take a Beijing New Year Tour and celebrate an authentic Chinese New Year in Beijing as locals do. See more Beijing Winter Travel. Hong Kong&apos;s winters are comparatively mild, even warm. Visiting during the cooler winter season is a welcome alternative to trips in hot and humid summers. Average winter temperatures are around a moderate 16°C (60°F) and there is very little rain. 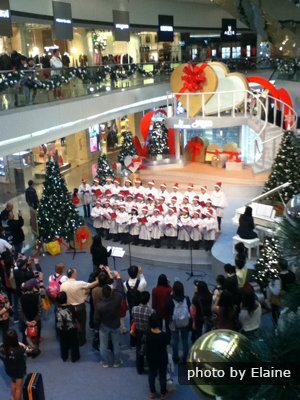 The Former British Colony has embraced Western Christmas celebrations. Each year at Christmas skyscrapers are lit with Christmas lights and lavish displays are set up in shops and public spaces. Restaurants serve traditional Christmas fare and stores are filled with shoppers. Chinese New Year in HK is even more extravagantly enjoyed! The Ice and Snow Festival is undoubtedly Harbin&apos;s most famous attraction, held in Zhaolin Park every winter from January 5th to the end of February. 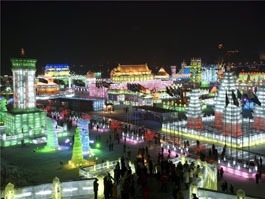 During the festival, the whole park is changed into a world of ice sculptures and lanterns. Fanciful and elaborate ice sculptures in the shapes of animals, plants, buildings or motifs taken from legends sparkle in the frigid air. Harbin hosts ice and snow art festivals every winter. The tradition of ice lanterns dates back hundreds of years. The Ice Festival fills Zhaolin Park with magnificent ice sculptures. Sun Island hosts a Snow Sculpture Exposition and is the location of the largest indoor ice and snow art museum. Winter trips to Harbin often include the Siberian Tiger Park and nearby ski resorts, and a trip to see the enchanting rime scenery of Jilin. 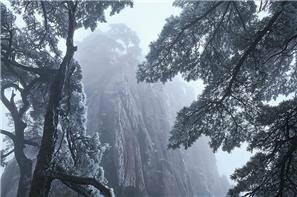 Huangshan is famous for its marvelous and beautiful scenery. In winter, the mountains becomes a world of frost and ice with silver boughs and rocks everywhere. The Yellow Mountains is one of the best places to view snowy landscapes and rime and glaze scenery in China. Mt. Emei, in Southwest China&apos;s Sichuan Province, is known for its sweeping cliffs, high reaching peaks, gushing waterfalls, gurgling springs, towering ancient trees and ancient temples. In winter the mountain is very quiet, free from the tourist crowds, allowing winter travelers to enjoy the mountain, which is a blanket of white with a capping of snow-laden trees. 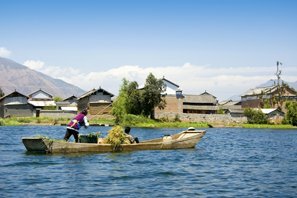 Yunnan is without doubt one of the most tempting travel destinations in China. Its varied landscapes, with terrain ranging from topical rainforest to snow-capped peaks, never fails to allure even the most fastidious travelers. Winter travelers are fond of Yunnan because of its mild weather. 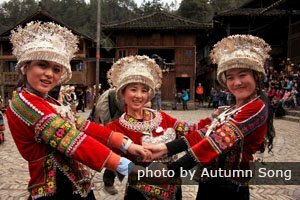 The Miao and Dong minority peoples hold their own traditional celebrations in Guizhou to celebrate the Chinese New Year. Colorful dress, folk performances and interesting activities can be seen during January or February. 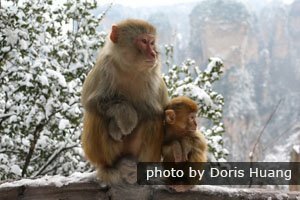 If however you would like to do something a bit different, all you need to do is let us know and we can tailor-make an individual China winter tour for you. 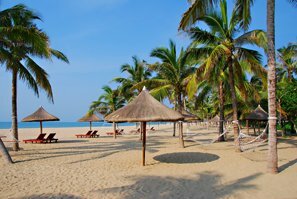 Our travel specialists suggest you check the weather and packing tips for each of your China destinations before you depart. Generally speaking, for the north, such as Beijing, heavy overcoats etc. are needed; but for the southeast coast, like Hong Kong, a light coat is enough. See our China Weather pages.